PM CONSULTING, s.r.o. LLC, is a leading consulting and training firm in the area of project management, active in the marketplace since 1997. Our mission is to provide complex improvement in the level and culture of project management, as a means of across the board improvement in the prosperity and the standard of our clients, and in doing so, society as a whole. Establishing project management and project offices, set-up and optimalisation of processes, portfolio management. Ensuring project quality, outside assessment and feedback. Hard skills: Planning, management, efficiency assessment, SW support, and more. Soft skills: Self management, leadership & motivation, teamwork, and more. Simulations: Training in realistic project simulation, intense experience and in-depth feedback. Our project manager can assume the management of your project; representation is guaranteed. We make use of trusted methods and established principles of good practice, together with common sense. We can form a team with your manager; after the finished project, that expertise stays inside your organisation. We can tailor our services to your requirements, and we are able to provide training in project management in English and in Czech, including managerial games – project simulation. 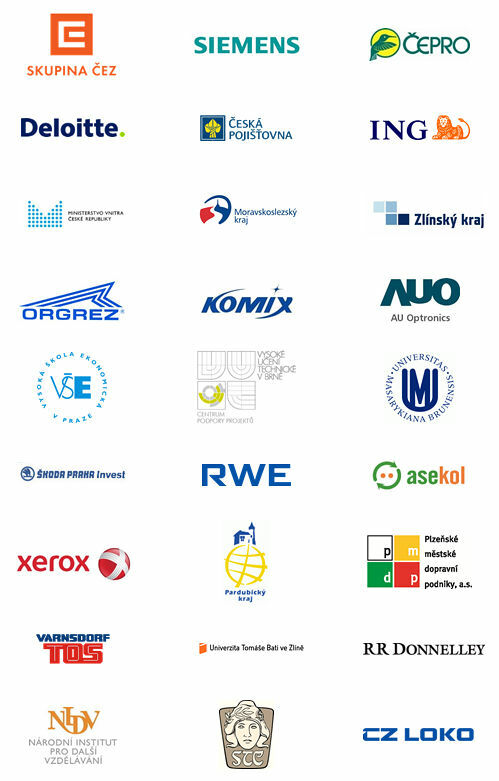 Our basic educational programme “A4P: Application of the Project, Programme and Portfolio into Practise” is accredited by the Společnost pro projektové řízení o.s., the Czech national representative of the International Project Management Association (IPMA), as preparation for international certification of project managers according to IPMA degrees D, C and B. Of course, this does not mean that we are solely interested in these particular standards – quite the contrary. We offer training for PMI certification and we also carefully follow the Prince2 standard. We put the themes of these standards not only into our courses and training, but also into our everyday consulting work. Our company is growing – not only in the number of its employees and co-workers. We pay great attention to personal and professional development – our consultants and teachers are not only constantly bettering their education, but primarily are gaining more and more experience with the practical aspects of project management under Czech and international conditions – which is the greatest added value. We believe we can exceed your expectations. We would like to become a partner to your projects.